This charming 10" needlepoint Beagle Pillow makes the perfect dog gift for Beagle owners and dog lovers! Unique Dog Gifts, Including an Elegant Small Needlepoint Beagle Pillow. The Ultimate Shopping Boutique for Dog Gifts and Beagle Gifts. 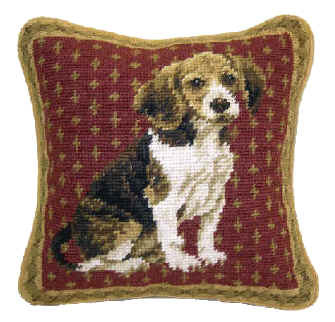 See our Other Needlepoint Dog Breed Pillows!